We can supply and install a wide range of air conditioning systems, ranging from compact wall-mounted office units to large scale systems designed for complete buildings. We also offer a varied range of air conditioning solutions to suit marine applications. A quiet, reliable air conditioning system marks the professionalism and no nonsense approach of your organisation. Whether it's for the conference room, development lab, or just the general office, we can provide a cost effective solution to your air conditioning needs. 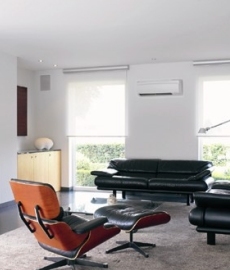 We are official UK agents for the Lintern range of air conditioning products.